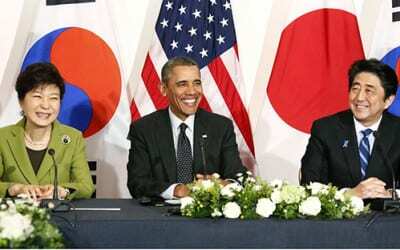 The capabilities and the type of solutions that we provide in Consulus Lanka. Transforming a company’s business model, help them build the capacity for innovation and create their own intellectual property. 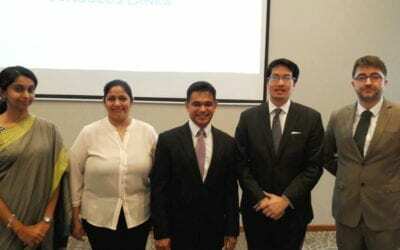 While international in outlook, Consulus’ practical and integrated approach of combining business, organisational development and design is a good fit for the business realities in Sri Lanka”, said Mr Shiraz Latiff, CEO for Consulus Lanka. Consulus Lanka (Pvt) Ltd is established on 7th November 2017 and is a full-fledged partner firm in the Consulus Global Network.Consulus Lanka consultants are accredited and equipped by Consulus Global to provide innovative solutions to Sri Lankan companies on their transformation journey to become more relevant in the future. In partnership with other Consulites present in 11 countries from Brazil to Singapore, Consulus Lanka bring their Sri Lankan perspective to the network and contribute through solutions in organizational development. 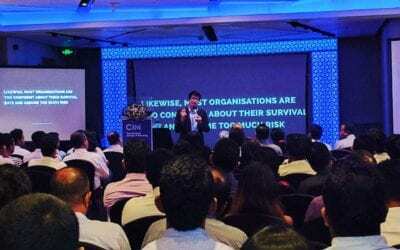 In August 2012, Lawrence Chong, Chief Executive of Consulus, was invited by Shiraz Latiff, a Trustee of the Chartered Institute of Marketing UK to speak at the annual CIM conference in Sri Lanka. 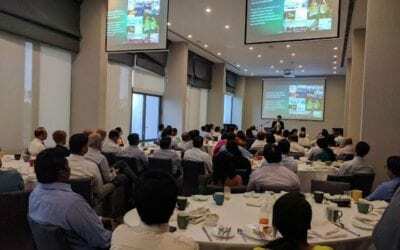 The event attracted 350 business leaders and Consulus’s unique approach of business design was well-received as many corporations were reviewing their business models to build global brands. Discussions were initiated between Consulus and Hummingbird International where Shiraz Latiff leads as the Chairman/CEO. On 28th of January 2013, the partnership was officially sealed before a select group of 60 business leaders who gathered at the historic Galadari Hotel. The office is led by Shiraz Latiff and his partners who has over 22 years of commercial and industry experience in strategic marketing, business optimization and corporate restructuring. 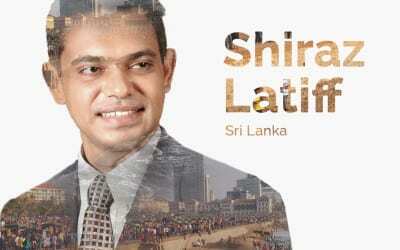 In 2013, Lawrence and Shiraz started writing a weekly column for Ceylon Today titled Shape the World. In 2017, Hummingbird International which served as a representative of Consulus, has been upgraded from a representative role to being a full-fledged partner firm in the Consulus Global Network. WCD speaks with Romani de Silva, Deputy Chairman and Managing Director of Alliance Finance Company PLC, the third oldest finance company in Sri Lanka, to find out about what they are doing to shape the world. Mr Lawrence Chong, CEO of Consulus, has spoken to a packed house of 120 CEOs and senior management of the largest companies in Sri Lanka at the CEO’s Breakfast Forum today at Jetwing Hotel Colombo. Yesterday, CEO of Consulus, Mr Lawrence Chong, shared his insights and advice with 75 Marketing Directors and Managers in Sri Lanka at a talk titled “Marketing in the Age of Design and Disruption”. 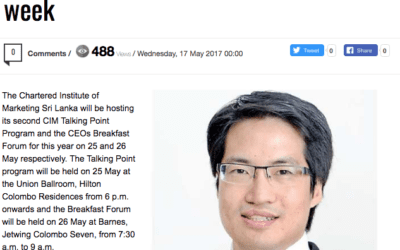 The Chartered Institute of Marketing Sri Lanka will host its second CIM Talking Point Programme and the CEOs Breakfast Forum for this year on 25 and 26 of May 2017 respectively. The speaker at both programmes is Consulus CEO, Lawrence Chong. 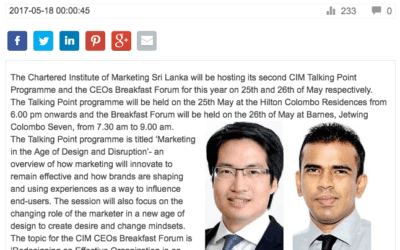 The Chartered Institute of Marketing Sri Lanka will be hosting its second CIM Talking Point Programme and the CEOs Breakfast Forum for this year on 25th and 26th of May respectively. The speaker of both programmes is Lawrence Chong, CEO at Consulus. 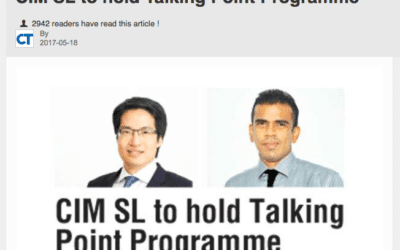 The Chartered Institute of Marketing Sri Lanka will be hosting its second CIM Talking Point Program and the CEOs Breakfast Forum for this year on 25 and 26 May respectively. The speaker of both programs is Lawrence Chong, CEO at Consulus. 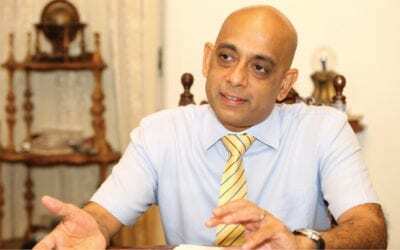 Apart from being rich in tea plantations and natural gemstones, Shiraz Latiff, Managing Partner at Consulus Hummingbird in Sri Lanka, says how his country’s 8 million-strong workforce are also jewels. During an interview with The Columnist, he also discusses the challenges that the country faces and what could be expected in 2016. Without pro-actively addressing our past differences and finding a way to overcome them, those issues will continue to haunt us and drag us into conflict, eventually destroying all that we have built. 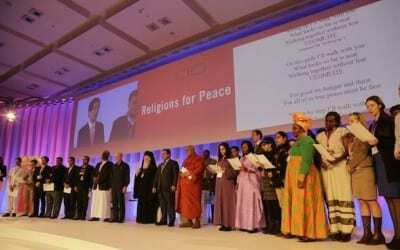 Why companies need to get involved in interfaith and intercultural dialogue. 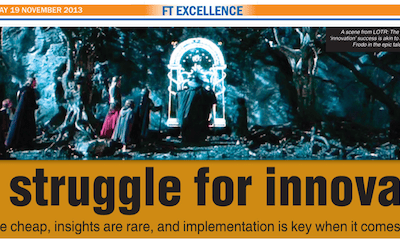 Why ideas are cheap, insights are rare, and implementation is key when it comes to innovation. 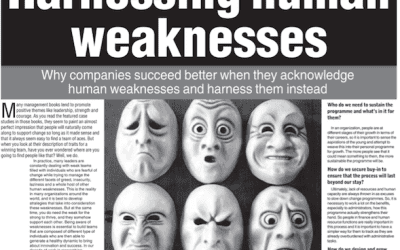 Why companies succeed better when they acknowledge human weaknesses and harness them instead.